On November 6, Craig Ogden made his Royal Philharmonic Orchestra debut at London’s Royal Festival Hall performing Rodrigo’s Concierto de Aranjuez conducted by Tolga Kashif. This follows on from recent performances of the same work with the Bournemouth Symphony Orchestra. Ogden continues his regular outing of the Aranjuez concerto with further performances at London’s Barbican Centre on December 28, 2002 for Raymond Gubbay Ltd and on New Year’s Day, 2003 with the BBC National Orchestra of Wales in Cardiff. Craig Ogden has been approached by Virgin/EMI to record a CD with the extremely successful American counter-tenor David Daniels (see Gramophone cover feature, September 2002). The recording is scheduled to take place in New York in December 2002 with a concert tour to follow in 2003 including a performance at the prestigious Tanglewood Festival in the USA. Co-commissioned by the BBC and Symphony Australia, Craig Ogden will give the world premiere performance of ‘Concerto in Blue’ by Australian composer, Gerard Brophy on January 17, 2003. The premiere will be the centrepiece of a ‘Brophy Festival’ taking place in Manchester over the weekend of January 17 and 18, 2003 and will also be recorded by the BBC for broadcast on BBC Radio 3. The Australian premiere is due to take place with the West Australian Symphony Orchestra in 2004. Between October 2002 and January 2003, Craig Ogden will perform concertos by British composers Simon Bainbridge (RNCM – Manchester, October 18 and Huddersfield Contemporary Music Festival, November 29), and Malcolm Arnold (Leeds, November 17 and 23). Of Ogden’s Manchester performance of Bainbridge’s Guitar Concerto, Simon Bainbridge wrote:-“I was thrilled by your wonderful performance on Friday. You fully understood both the expression and structural articulation of the piece. Thank you”. Craig Ogden and the Bournemouth Symphony Orchestra will contribute to the Lennox Berkeley centenary in 2003 with a performance of the Berkeley Guitar Concerto on July 17 at the Cheltenham Festival. Craig Ogden has left Stephannie Williams Artists and is now represented by Jayne Rollason at ‘Classic Management’. For all future queries please contact Jayne at:-jayne@classicmgt.org.uk or telephone 01295 780 689. Claire Bradshaw’s career plans have undergone some alteration recently due to the impending arrival of Craig and Claire’s first child on January 6. Claire recently sang Carmen Carmen at the Royal Albert Hall for Raymond Gubbay Ltd and her future plans had included Suzuki Madama Butterfly, Carmen Carmen and Lola Cavalleria Rusticana for Welsh National Opera, a recording of Vaughan-Williams’ opera The Poisoned Kiss for Chandos Records with Richard Hickox and the BBC National Orchestra of Wales and a series of opera gala concerts for Raymond Gubbay Ltd.
All of these commitments have, however, been cancelled due to the pregnancy and birth and her future plans include a greater focus on concert engagements during 2003 before resuming her opera career with the role of Suzuki, Madama Butterfly with Welsh National Opera in Spring 2004. Next year will see an alignment of elements to create a uniquely Western Australian but internationally significant musical experience. Boulder born Philip Bračanin, Reader in the School of Music at the Queensland University provides the composition. Ex-Perth virtuoso guitarist Craig Ogden will be the special guest artist playing with other WA musicians at an event organised and held in WA. In October Dr Bračanin said, "I have just finished a new, four movement, twenty minute piece entitled Blackwood River Suite for guitar and string quartet, a commission from Vincent Moleta, the Director of the Blackwood River Festival. The festival will be held in Bridgetown in the last weekend in April, 2002. 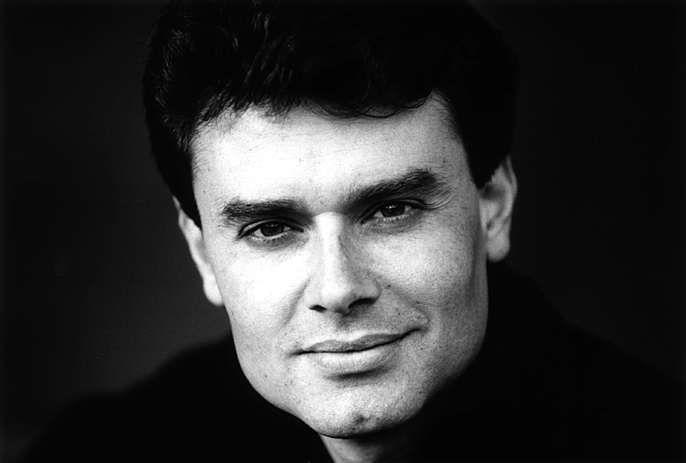 It is written for Craig Ogden who will be flown out from London for the performance." Bračanin, a significant Australian composer with an international reputation, has written several works for classical guitar in a productive collaboration with Isolde and Karin Schaupp. You can find Bračanin at http://www.australianmusiccentre.com.au/artist/Bračanin-philip and there is a link to Ogden lower in this page. Note: These links take you away, use the "Back" key if you wish to return here. Works by Piazzolla, Villa-Lobos, Garcia (premiere recording), Pujol, Koshkin, Praetorius, Morel, Dyens. Michael Tippett - The Blue Guitar; Benjamin Britten - Nocturnal after Dowland Op.70; Richard Rodney Bennett - Five Impromptus; William Walton - Five Bagatelles; Lennox Berkeley - Sonatina Op.52 no.1. BBC Philharmonic Orchestra, Conductor - Sachio Fujioka, Soloist - Craig Ogden. Tenor - Martyn Hill, Piano - Andrew Ball, Guitar - Craig Ogden. Hyperion CD ref. CDA 66749. Tenor - Jamie MacDougall, Soprano - Lorna Anderson, Piano - Malcolm Martinu, Guitar - Craig Ogden, Harp - Bryn Ellis. Tenor - Martyn Hill, Guitar - Craig Ogden. Flute - Sefika Kutluer, Guitar - Craig Ogden. Works by Bizet, Borne, Ravel, Ibert, Coste, Gossec, Fauré, Demillac, Bozza, Kleynjans, Debussy. The link "Programme 2002" below returns you to the programme page.